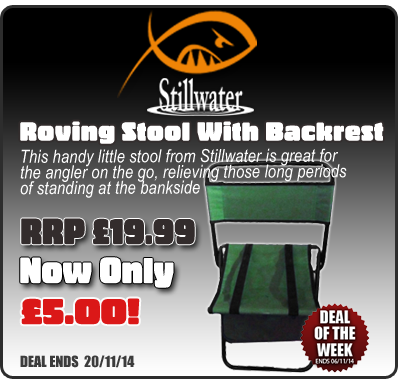 A handy little fishing stool from Stillwater that's great for the angler on the go, relieving those long periods of standing at the bankside. It features a handy Stora-Pouch attached under the seat to give you space to keep some gear handy for your session. It also features a tough frame and durable cordura construction and is perfect as a Christmas Gift. With very limited stock available, you don't want to miss out on this excellent offer!